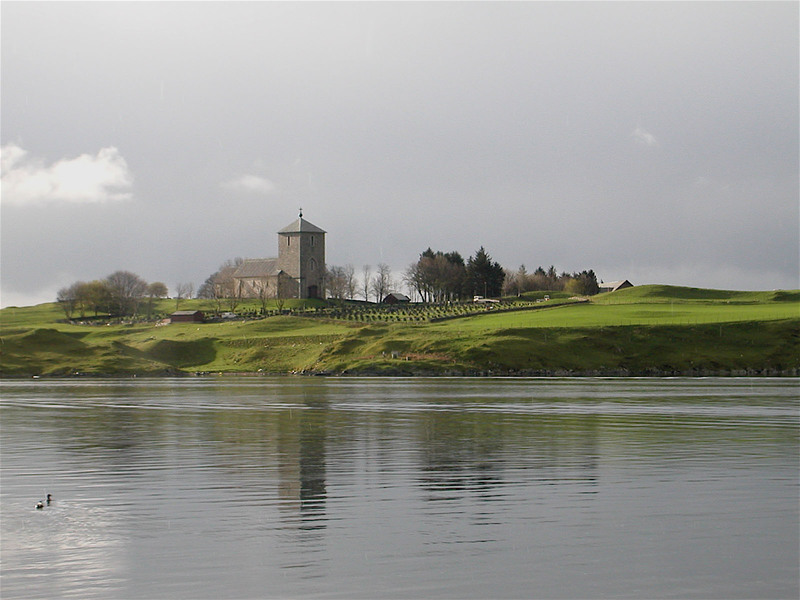 Avaldsnes - The Royal Seat of King Harald Fairhair. 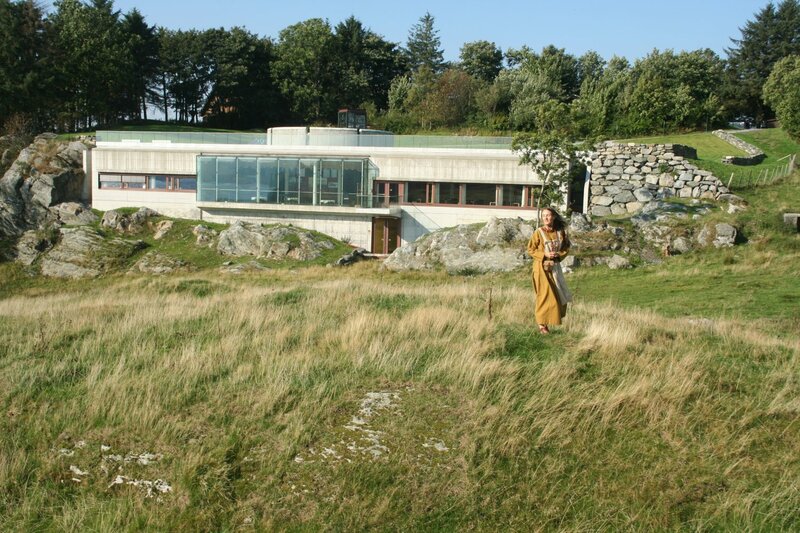 Nordvegen History Centre, Tells about princes and kings that through 3000 years controlled the Norwegian coast from Avaldsnes. Viking Farm and Viking Festival. 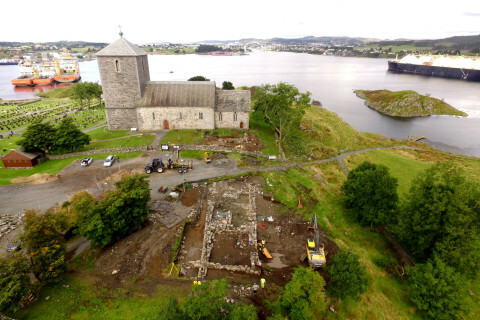 2017: The Royal Manor Project excavates the medieval Royal residence that was found in 2012. Dragon Harald Fairhair. 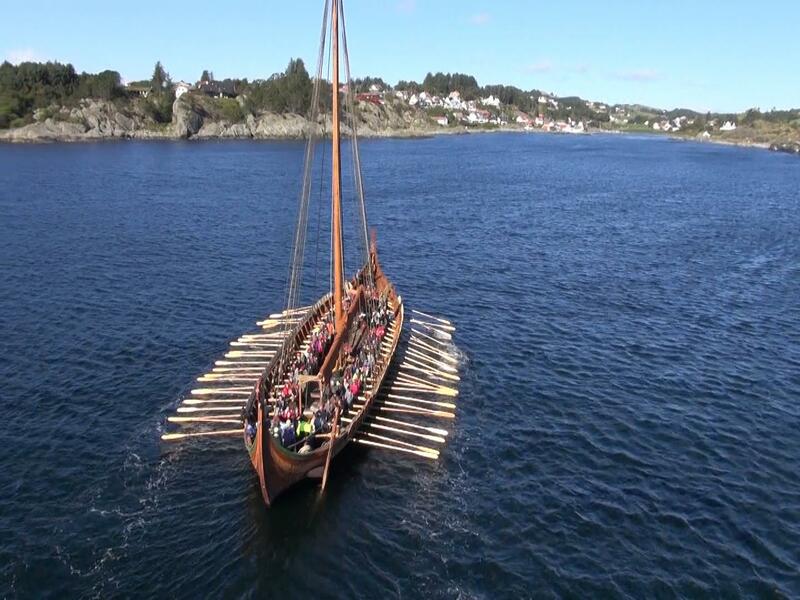 A recretion of the large, sturdy Norwegian longships known from the sagas. 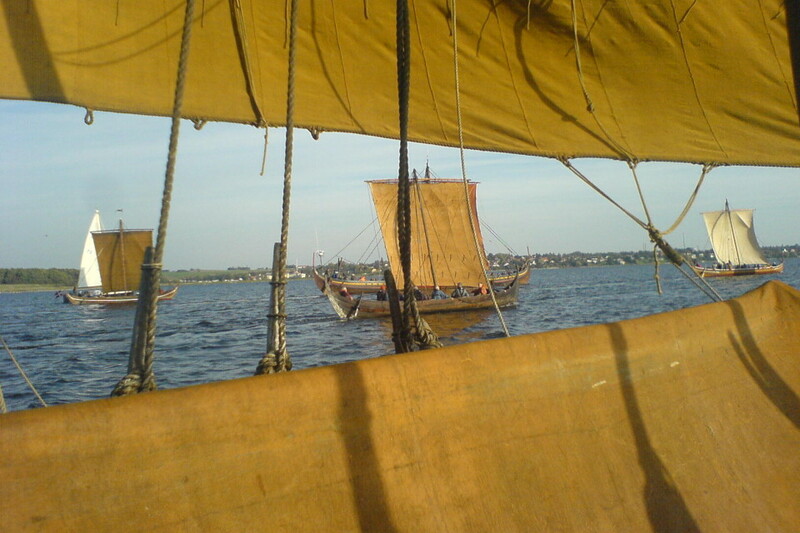 Replica of viking ships and boats in the Roskilde fiord. Dragon Harald Fairhair with shields. 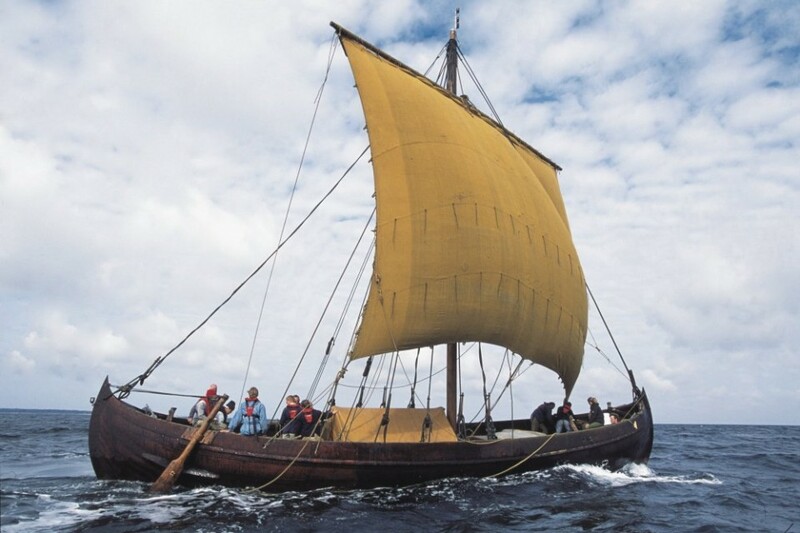 – The Viking ships had flexible, clinker-built hulls that followed the waves as living beings. – The best ships are compared with dragons, birds and sea serpents. 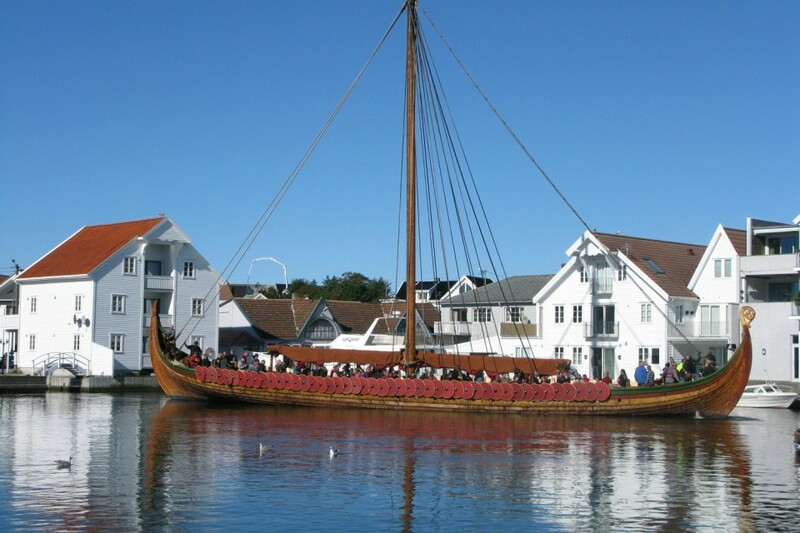 – The Viking ships could easily be drawn up on a beach. The Vikings sailed over vast distances with these ships, from America in the west to Asia Minor in the east, and perhaps even farther. 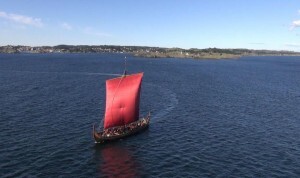 This suggests that the written sources are right: Viking ships were unique for their time. 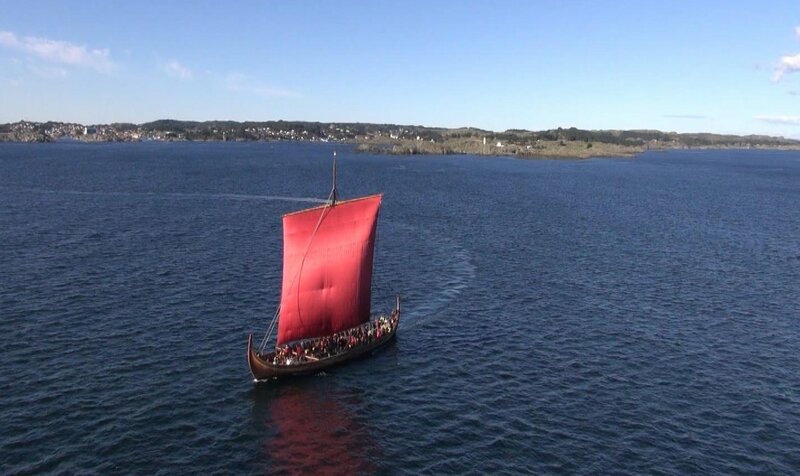 It was the seaworthiness of the Viking ships, together with the Norsemen’s knowledge of navigation and seamanship, which made it possible for them to conquer the ocean. 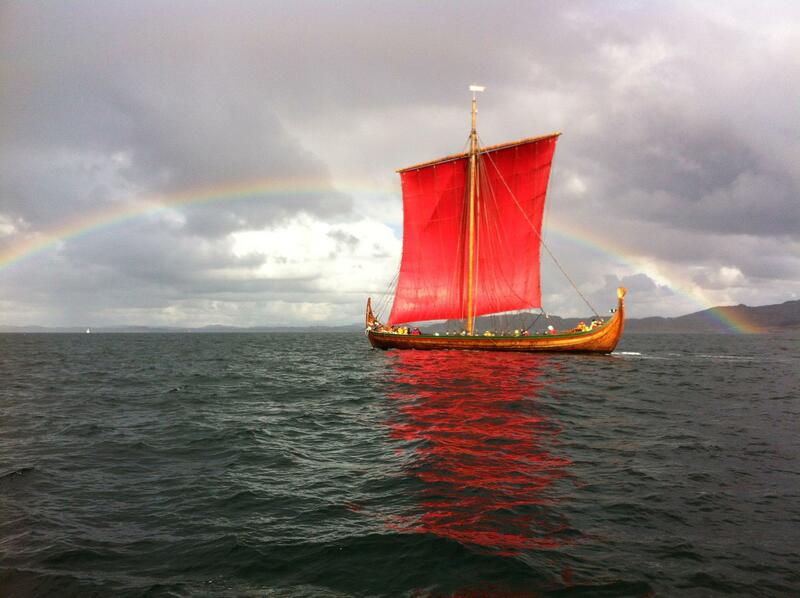 The Vikings’ understanding of the sea is also reflected in the Old Norse language that has about 150 words for waves. According to the Old Norse laws, the Norwegian leiðdang (defence fleet) could mobilize at least 310 ships when danger threatened. 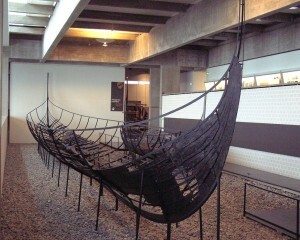 In addition to these came all of the “private” Viking ships. 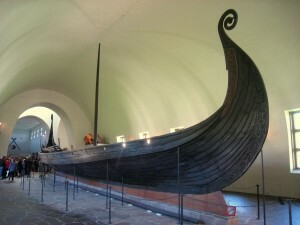 Based on this, there must have been built several thousand Viking ships during the Viking Age. However; very few burial ships and ship wrecks have been found. The ships that have been found are in many pieces. Often large parts are missing. We have to rely on different interpretations when the ships are put together, and when reconstructions are made. 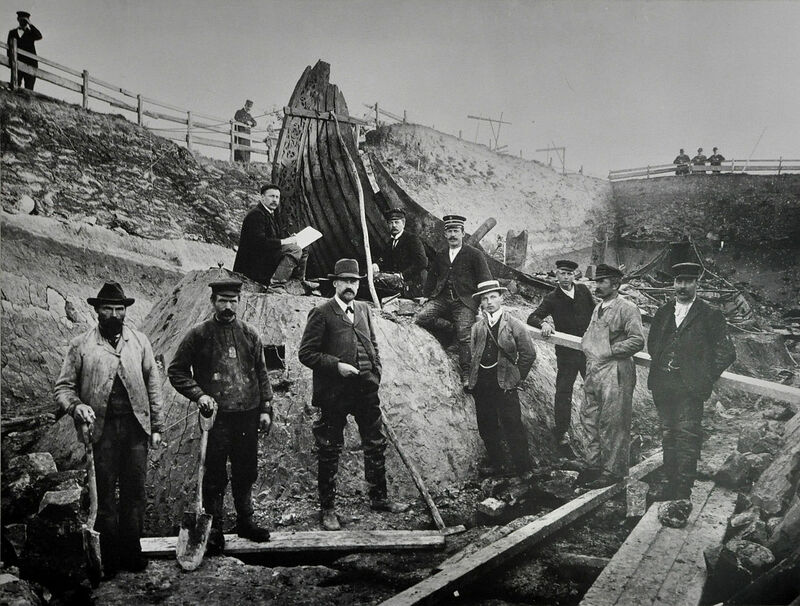 Therefore we must admit that we still don’t know much about how the Viking ships were built, how they were sailed, how they were rowed or how they were navigated. Nor do we know a lot about the different ship types that the Norse literature describes. What we write here can change subject to new findings and new research methods. One section is the same as one seat (N sesse) and one pair of oars. That is: A ship of 20 sections will be called a 20-sesse and it has 40 oars. According to the sagas, between one and four men were sitting at each oar of the ship. If four men rowed at the same time, it was as if the ship flew over the sea. 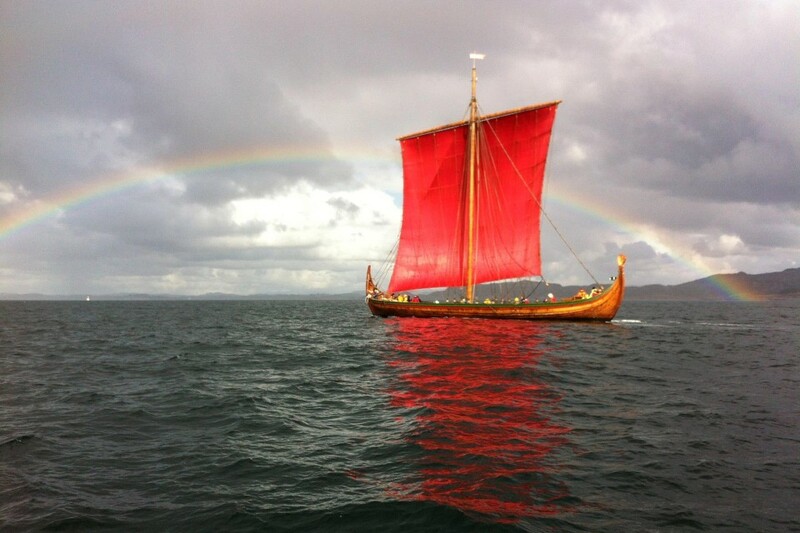 The Norse sagas have a variety of names for different vessels, like bátr, skip, feræringr, fley, byrðingr, skúta, stórskip, dreki, karfi, knórr, snekkja, langskip,landvarnarskip, herskip, bússa, hafskip, súð. These various designations must describe differences in appearance, size, construction techniques, use etc. Some ships were pure cargo vessels designed for sailing over large ocean areas. These were sturdy and broad and had only a few oars that were used during maneuvering in harbor. The typical warship was long and narrow, designed both for rowing and sailing, but there were also sturdy warships called “great ships” or “busser”, like Olav Tryggvason’s fabled Long Serpent and Harald Harraade’s Serpent. 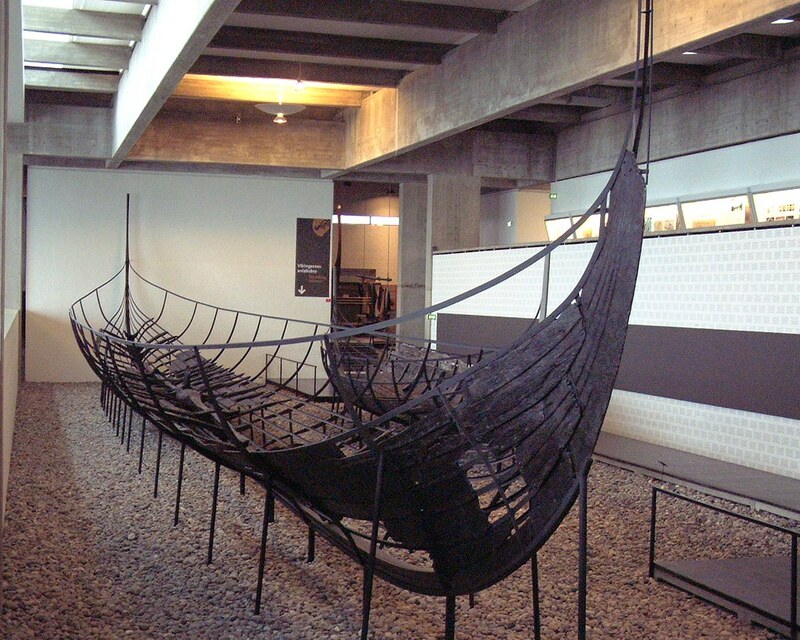 It looks like the Danish longships in general were narrower than the more sturdy Norwegian longships that were designed for rougher seas. This also applies to the warships as they are described in the sagas. Generally, we can say that a vessel under 15 meters is called a boat; a vessel of 15 meters and more is a ship. Ships with many oars that could be both rowed and sailed. Some warships were long, narrow and flat-bottomed, first and foremost meant to be good rowing ships. 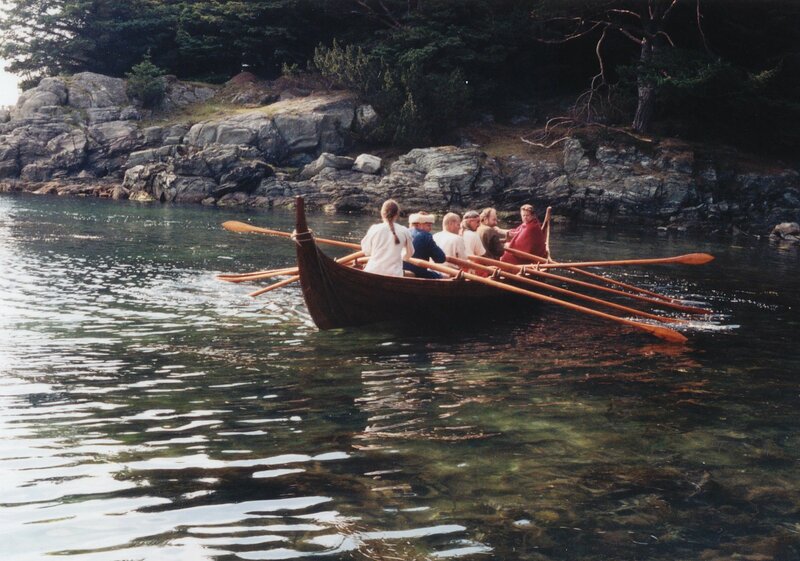 We believe that the typical Danish “skeids” were such ships. Others were large and sturdy, first and foremost meant to be sailed, but they could also be rowed. These ships had high freeboard and were easier to defend. They also managed better than the “skeids” in heavy seas. From the 1100’s large and sturdy ships were used both as war vessels and merchant vessels. 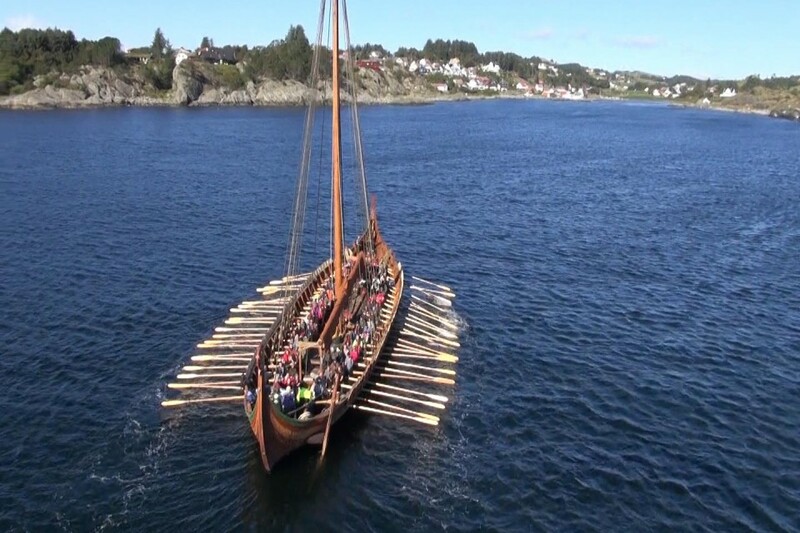 Ordinary longship: From 20 – 25 sections (ie 40 – 50 oars). Probably the ships with 25 sections were best suited as warships. Shetelig and Brøgger writes in their book: “Vikingeskipene”: “It seems that the ship of 25 sections (halft þritugt skip) has been the most suitable and most effective “. Great ship: (stórskip) Large longship that may have had from 30-37 rooms (ie 60 to 74 oars). The term “great ships” may also have something to do with how sturdy the ships were. Skeid (Skeið): Long, narrow warships of between 20 to 35 sections. Lower freeboard, and not as sturdy as the “busses”. Were better as rowing ships than sailing ships. The Danish warships are often referred to as “skeids”. Note that skaldic poems use the word skeid for both large and small warships. In Olav Tryggvason’s saga we can read that Erling Skjalgsson had a ‘skeid” of 30 sections and a crew of 200 men. ”..and all the crew memers were very skilled men”. 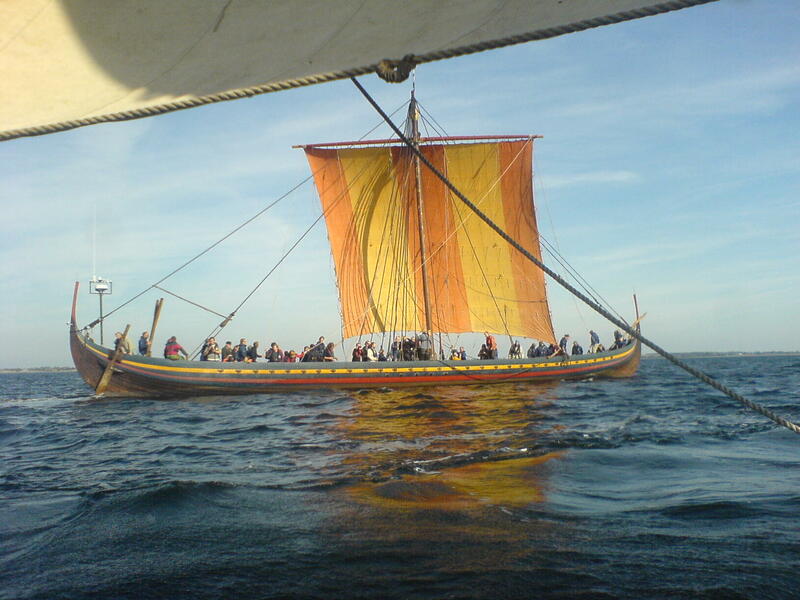 Busse (Bússa): Large, sturdy, sea-going longships which were first developed as warships. The Long Serpent was probably a “busse”. The saga describes it thus; the bulwarks were as high as in sea-going ships. Still, a skaldic poem also calls the Long Serpent a “skeid”. A busse could have up to 35 sections. The busses were better sailors and could take rougher seas than the skeids. Later, the busses were used for overseas trade, one example being Avaldsnesbussen that sank outside Iceland in 1343. Barde (Barði): A sturdy warship with a special, ironstudded prow construction which may have been a kind of battering ram to strike enemy ships. The word comes from barð, meaning beard/brim which denoted this particular prow. 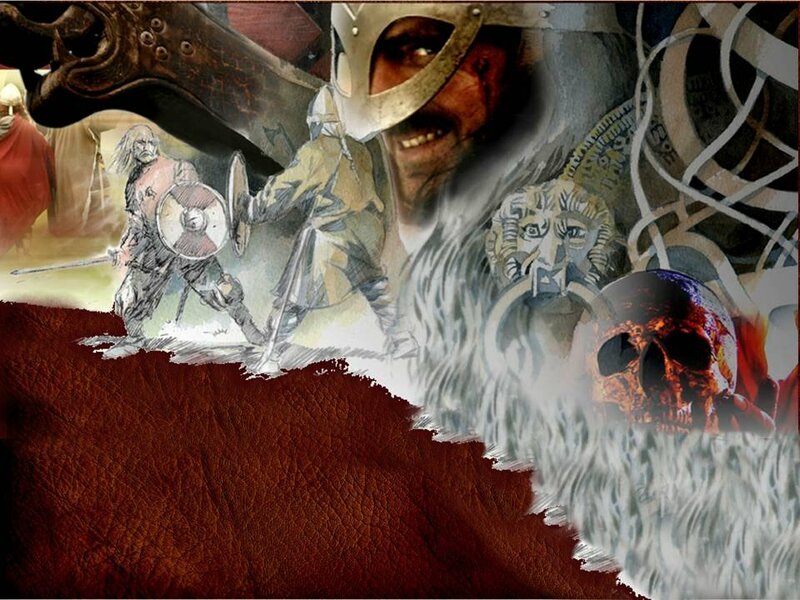 In the saga of Olav Tryggvason we can read:”Earl Eirik had a very large barde which he used on his Viking voyages; a beard was there on the higher part of both prow and stern, and thick plates of iron going from thence all the breadth of the beard right down to the water-line”. Sud (Súð): Large longships from 20 sections and upwards. Were developed in the Medieval times and may have been an evolution of the” busse-ships”. 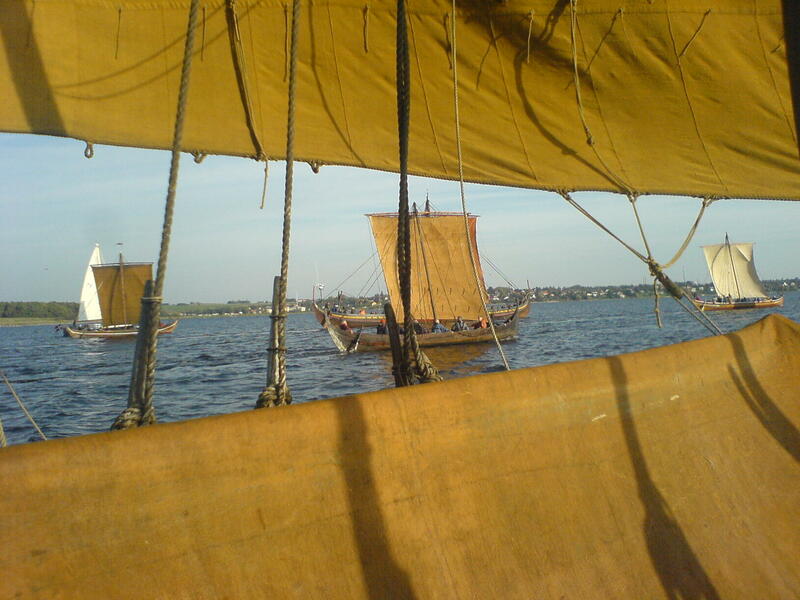 Some of the greatest of Haakon Haakonsson ships in the 1200s was the “suds”. The largest was Kristsuden who had 37 sections. Snekke (Snekkja): Normally a ship of 20 sections, but it could be as large as 30 sections. At war it was perhaps mainly used as a crew carrier . Drake/dragon (dreki): Large warships with dragon heads. Ships for chieftains and kings. Meant to show the owner’s status, and could be used both for “skeids” and “busses”. From 25-sections and upwards. The dragon ships were generally the largest ships in the fleet. Wide vessels designed for sailing, a few oars for maneuvering in port, stuck deep in the sea. 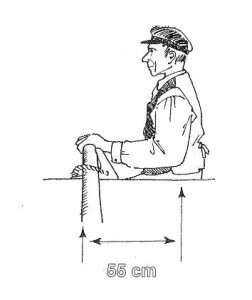 An exception was the karves which were flat-bottomed and could have from 13 to 16 pairs of oars. Knarr (Knarr/knórr): Sea-going trading ship (in which the Vikings also sailed to Vinland and Greenland). Mark, however, the skaldic poem Haraldskvadet by the skald Thorbjørn Hornklove (around 900 AD), refers to the knarr as a warship. Karve (karfi ): A karve was smaller than an ordinary long ship, from 13 to 16 sections. The karves could also be used for bringing supplies and equipment to the war fleet and for transporting passenger along the coast. 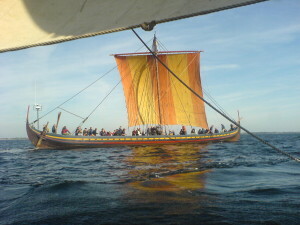 The Gokstad ship and the Oseberg ship are normally classified as belonging to the karve class. Byrding (Byrðing): Vessel for carrying goods along the coast (could also sail to the Faeroes and Iceland). 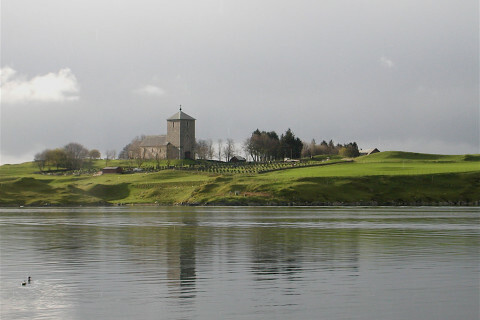 The Saga of King Sverre tells that byrdings sailed through the strait Karmsund every day in the summer season. Ships were vessels for the few, while boats seem to have been common for most people. This is reflected in that only 13 ship burials have been found in Northern Europe, while there are found many boat burials. Three smaller boats were also found together with the Gokstad ship. The largest was about 9.75m long, the smallest about 6.5m. The leidang (leiðangr) was a system that organized a coastal fleet with the aim of defense, coerced trade, or aggressive wars. All free men were obliged to take part in or contribute to the leidang. The entire leidang was called to arms when invading forces threatened the land. The leidang could also be called out to participate abroad. The leidang divided the coastal districts into different regions called skipreiða. In times of strife, those living in these regions had to provide a certain number of ships and also equip themselves with men and weapons.The law required every man to arm himself, at a minimum, with an axe or a sword in addition to spear and shield, and for every rowing bench to have a bow and 24 arrows. Ancient Norse sources reveal that this Norwegian defence fleet could mobilise at least 310 ships when danger threatened. We do not know whether the full quota of ships was ever mobilised. In addition, a warning system consisting of hilltop cairns was created and when enemies approached, these cairns were lit one after the other to warn the people so that they could prepare themselves. In this way the levy fleet along the Norwegian coast could gather in a few days. Haakon the Good gets the honor of having formed the leidang system around 950, but similar arrangements may have existed long before this time as a defense of petty kingdoms. As far as we know full mobilization of the leiðangr (= 310 ships) was never implemented. 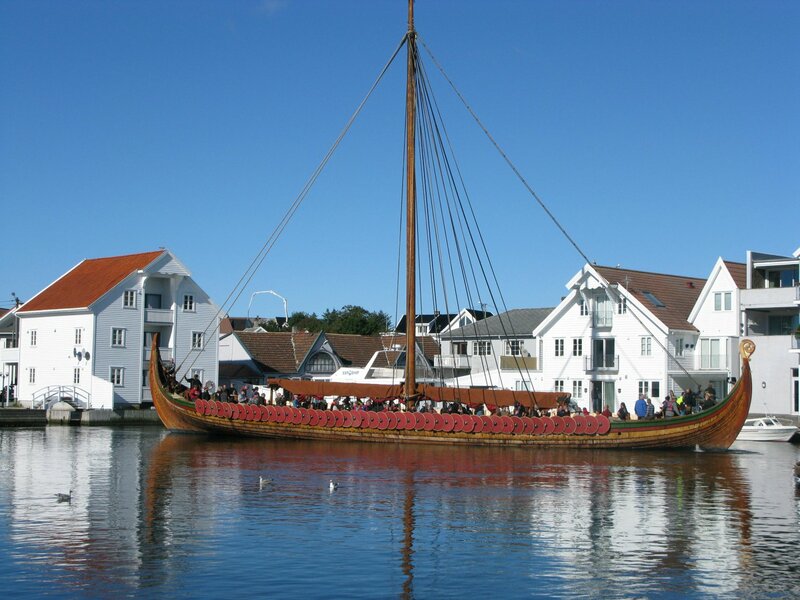 Saga of Harald Fairhair: Harald had a large dragon and many large ships in the leidang. In winter he had caused a great frigate (ON dreka mikinn) (a dragon) to be built, and had it fitted-out in the most splendid way, and brought his house-troops and his berserks on board. The forecastle men were picked men, for they had the king’s banner. The carving probably shows Haakon Haakonsson’s fleet in 1233. Here you see ships with dragon heads and other large leidang ships. In the middle you also see ships with gilted banners, a kind of wind vanes, that adorn the prow. When he (Haakon) came to Bergen, he laid his ship in the royal ground, and the othes placed their longships alongside the bridges in the town. Later he (Haakon) launched his largest ships: Hugroa, Olavssuden, Fitjabranden, Gullbringa and Rygjabranden. But when Hugroa was launched, the lower part of the ship was destroyed. They then immediately took the ship on land again, and repaired it. But the other ships were launched without any incidents. 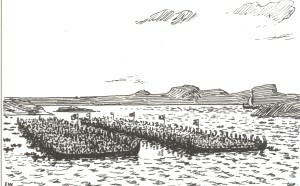 The King’s ships lay along the docks all the way inwards towards the town. Afterwards the King’s lendermen and sheriffs came with large herds og men. 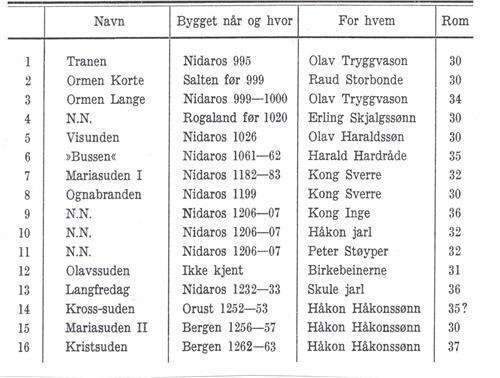 Below is an estimate of how long the various vessels have been in the Viking Age. Keep in mind that length alone is not a complete indicator of how large a ship may be. The beam, draft, freeboard, and hull form are all critical factors in the ship’s actual size and displacement. – Keel and lots are always two cubit (alen) per section (N rom). Keel and lots are 50 alen = 27.5 m.
Keel and lots are 60 alen = 33.0 m.
Keel and lots are 68 alen = 37.4 m.
Keel and lots are 74 = 40.7m. Keel and lots are 80 alen = 44.0 m.
The Viking Age was the years between 750 – 1100 when people from Norway, Sweden and Denmark made a name for themselves and became a political force to be reckoned with throughout Europe. From their travels in Europe, they adopted new ideas, cultural impulses and a new religion – Christianity. The Vikings are best known as pirates and warriors, but they were also sailors, merchants, craftsmen, farmers, fishermen, poets, explorers and nation-builders. 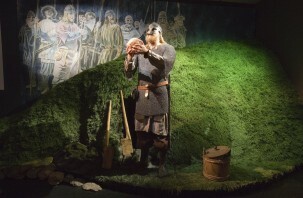 The Scandinavian national states were founded during the Viking Age. And it is now the Northerners develop a vessel that better organized and wealthier societies on the Continent don’t have; The Viking ship. It was the seaworthiness of the Viking ships, together with the sailors’ knowledge of navigation and seamanship, which made it possible for them to conquer the ocean . 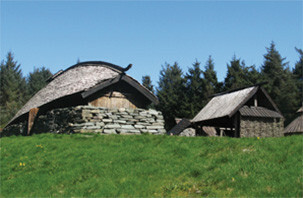 The Viking Farm is situated a ten minutes’ walk from the Middle Age church at Avaldsnes. You will find it on a small, forested island, just inside the rocks where king Olav Tryggvason in 998 drowned a group of wizards. In the farmyard you will find a longhouse, a boat house for a Viking warship, a roundhouse and several smaller buildings. Outside the farmyard there are paths through the forest for those who will just seek some peace and tranquility. 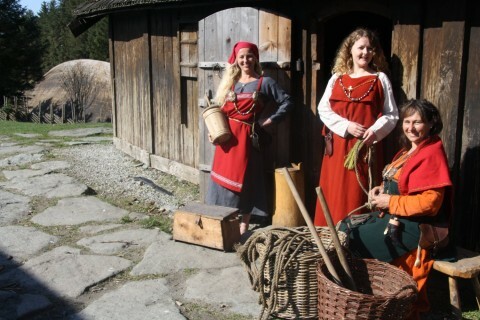 In the summer season the Viking Farm is open for tourists. 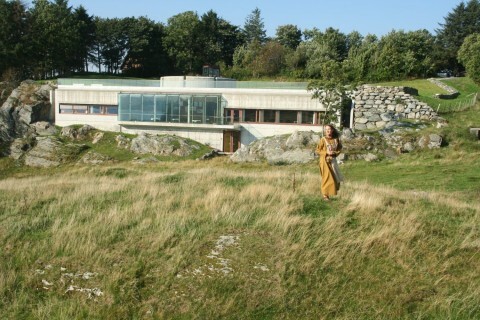 All year in the evenings and in weekends it is possible to rent the longhouse for guided tours and banquets. 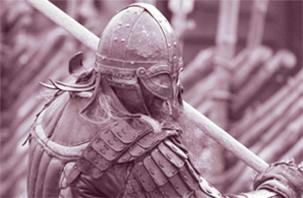 Each year in June there is a Viking Festival at the Viking Farm. Then Vikings from many countries set up their tents among the reconstructed buildings. 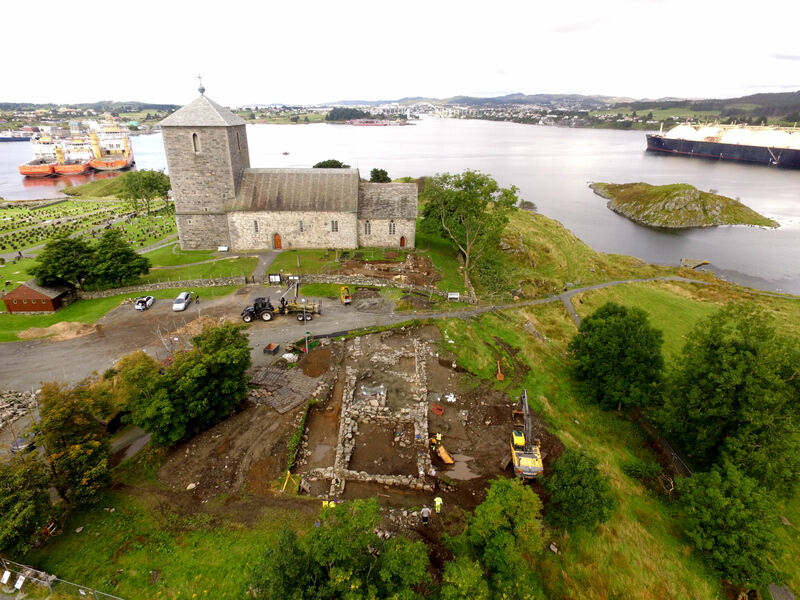 Nordvegen History Centre tells the story about how Avaldsnes became The First Royal Throne of Norway. 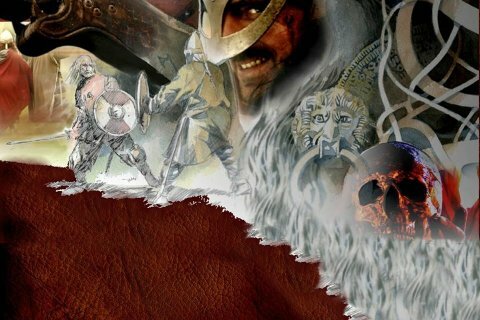 Harald Fairhair, the king who unified Norway into one kingdom, will present you for princes and kings who ruled the “North Way” from Avaldsnes. 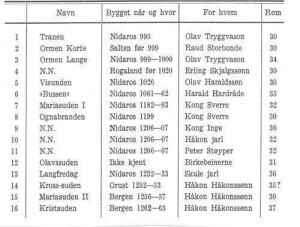 Some of these rulers we know from the sagas of the Norwegian kings, the heroic sagas and old skaldic poems. Others have become known to us through archaeological digs. You will also get a glimpse into the magic world that people once believed to be true and meet sorcerers, shield maidens and Norse gods. At the Nordvegen History Centre, we tell these stories of old using films, sound clips, lights, figures and objects. WELCOME TO AN EXCITING VISIT!